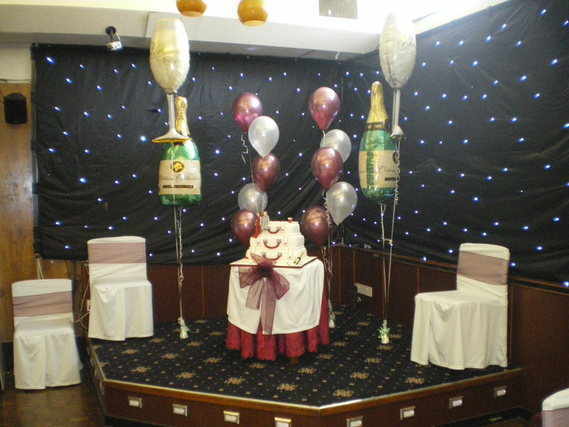 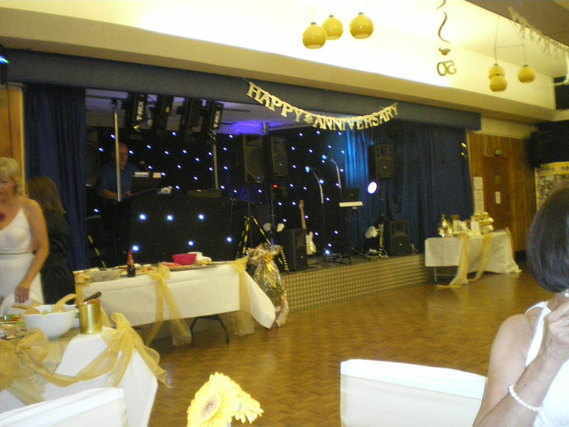 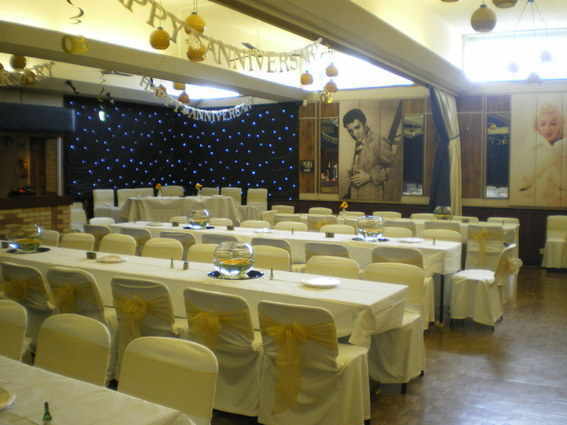 From Wedding Receptions to Anniversaries, Birthdays to Retirements, Christenings to wakes, Seminars and Meetings, Childrens parties etc whether large or small. 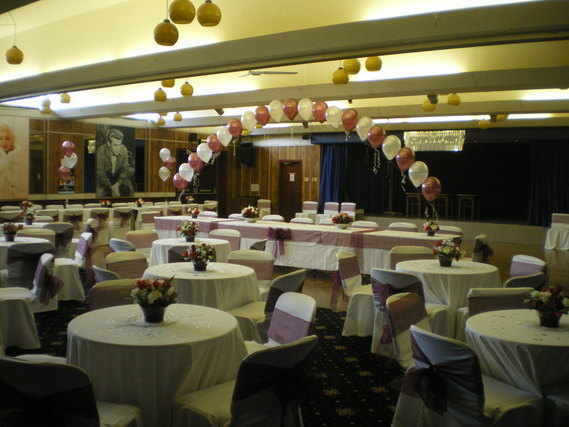 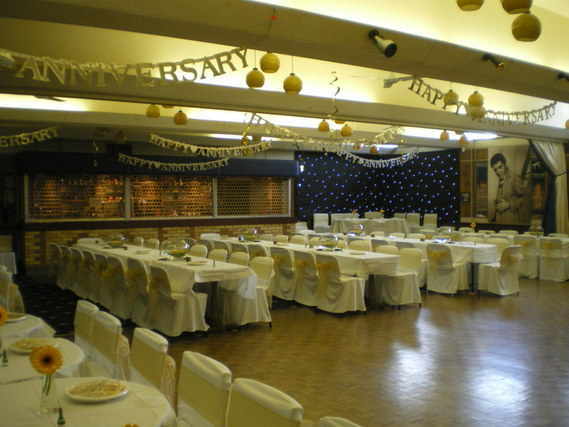 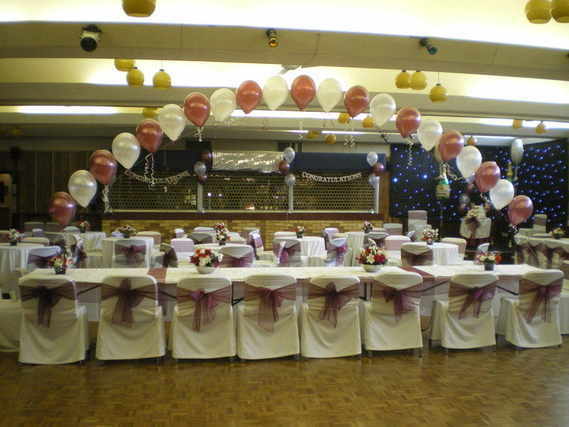 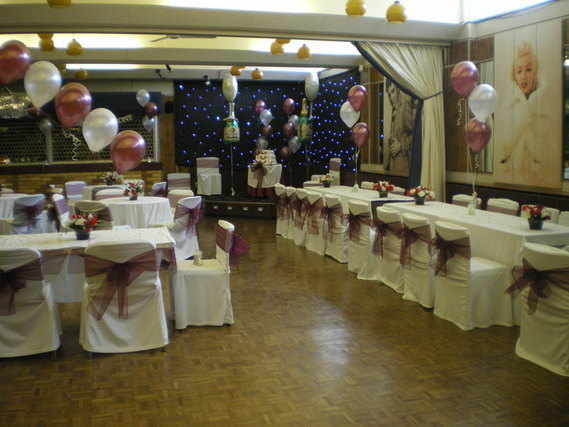 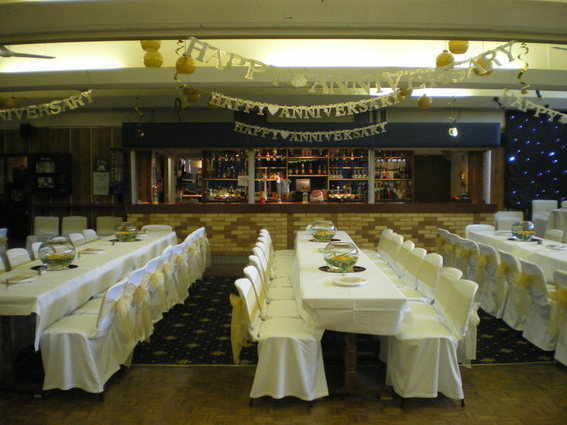 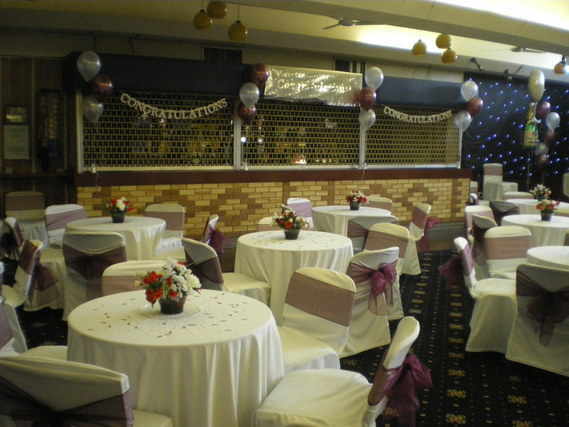 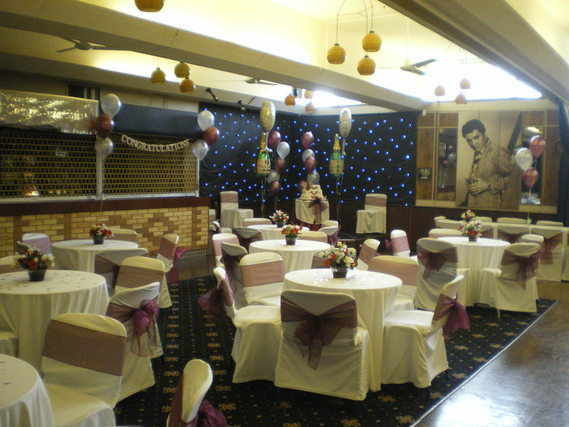 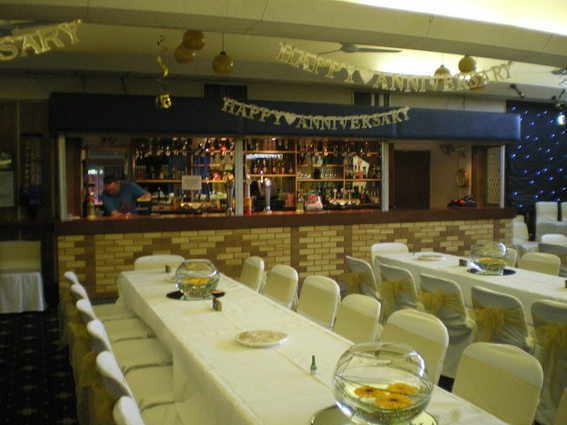 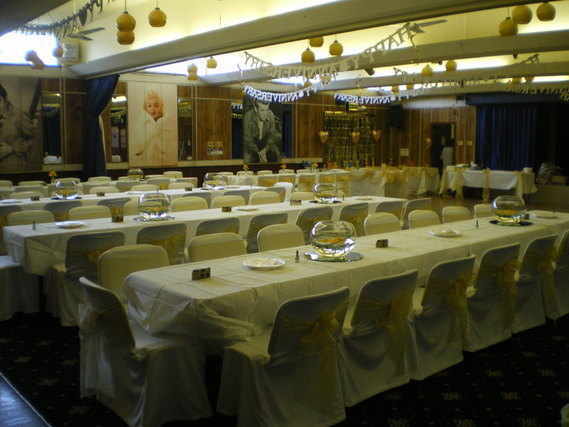 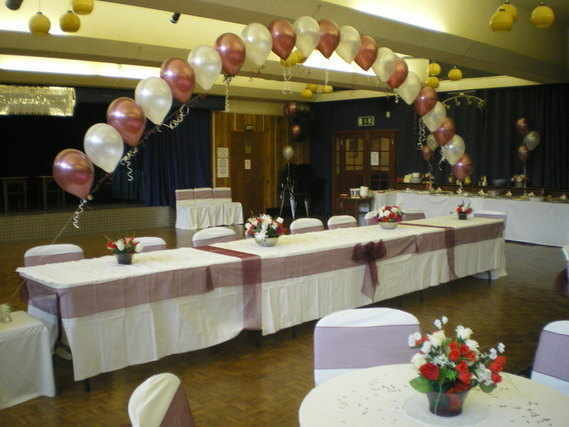 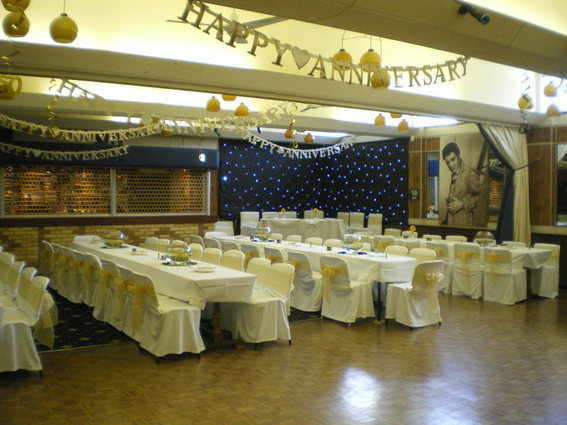 Our substantial Function Hall, with stage and dance floor, plus fully stocked private bar with hot beverage facilities is available for hire. 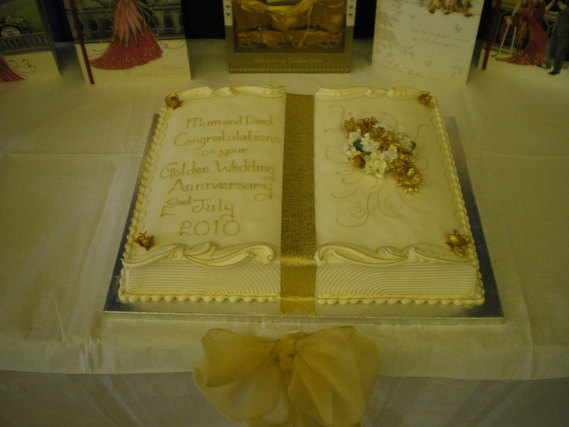 or by a contracted company. 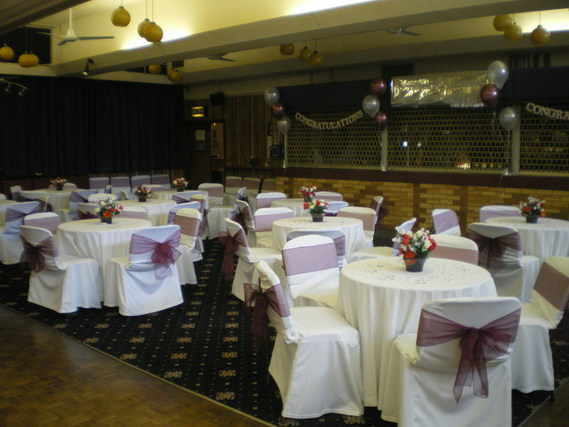 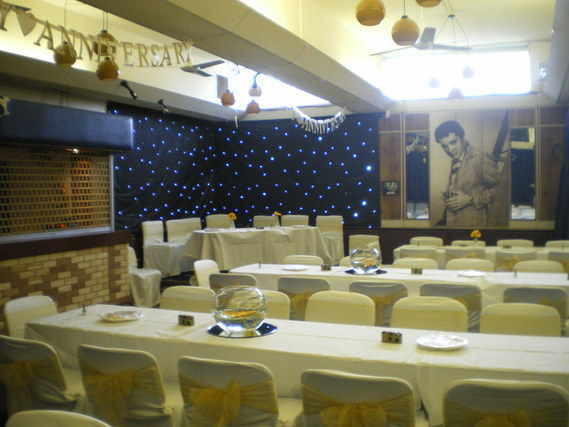 We are very competitively priced, with the main function room licensed to hold up to 200 people, or 130 people seated comfortably as shown in the pictures below.